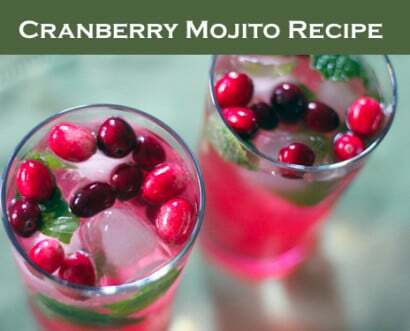 You’re going to love this run mojito recipe with cranberries. It’s make a perfect holiday party cocktail or a pre-holiday dinner drink. It crisp and refreshing and bound to bring you and those around you good cheer! Enjoy!